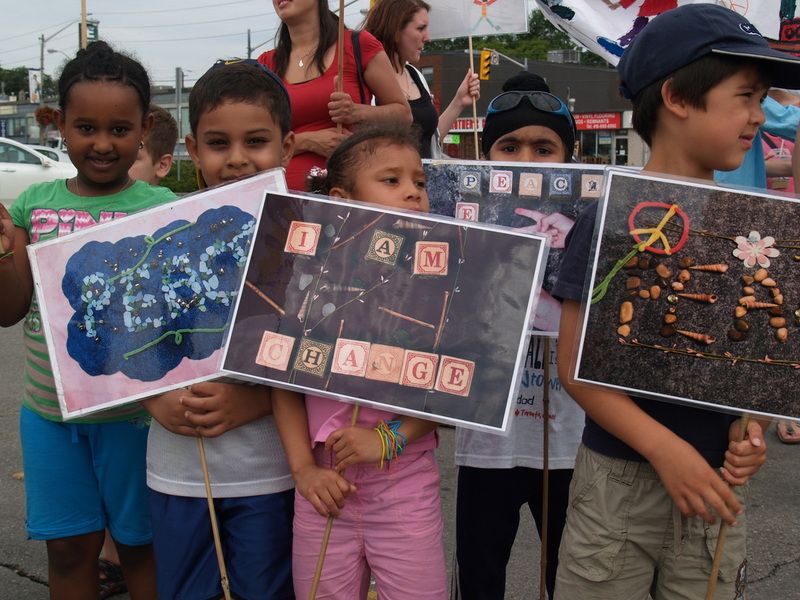 Join Children's Peace Theatre for a fifteenth year in making peace possible at our March on Friday, July 27th, 2018. We invite local families, community groups, and child care programs to register today! We will explore our how water connects us across time and place, and demand equal access to clean water for all peoples. 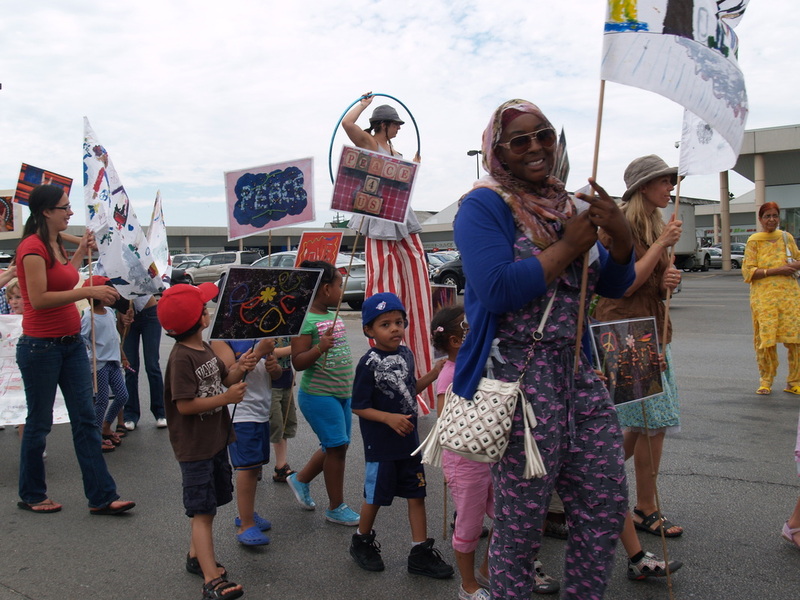 Bringing together socially-engaged artists, community groups, and our neighbours of all ages, participants will be lead in songs and chants that connects the water dwelling within us to the water that surrounds and nourishes us. The March is a beloved tradition where business owners and residents enjoy children singing along with musicians. At 10:30 a.m., we will gather in the north lot of Shoppers World Danforth (3003 Danforth Avenue) ​to sign in and get ready to march! Banners, signs, and musical instruments will be distributed and instructions will be given. Then, at 11:00 a.m., we are off to march! Singing and chanting, we will march along Danforth Avenue and north along Dawes Road until we reach Taylor Creek Park at noon. 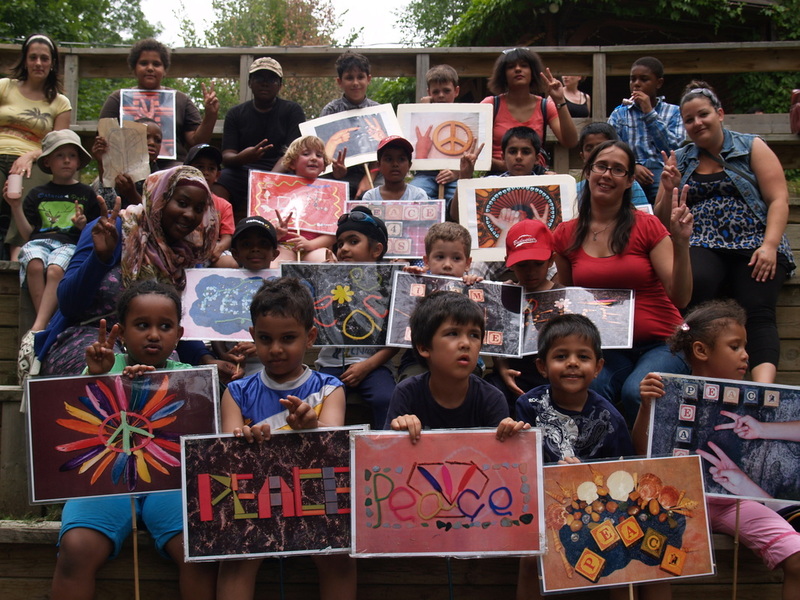 We will enjoy a free picnic lunch in the park, provided by Children's Peace Theatre. By 1:00 p.m., we will return to the home of Children’s Peace Theatre, where March participants will gain free admission to the matinée performance of Bodies of Water by our own Peace Camp cast! Make sure to follow our Facebook event page for updates on this year's March! Leading up to the annual Peace is Possible March, we offer artist-led conflict transformation workshops for children and youth to explore their vision of what peace looks like in practice. 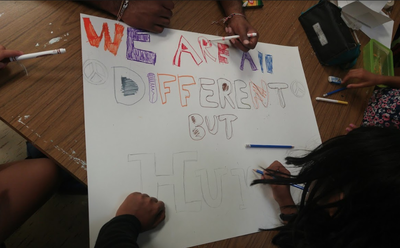 Through art, song, storytelling, and dance, participants will build skills in activism and social justice awareness while they create art, such as banners and posters, for the day of the march. 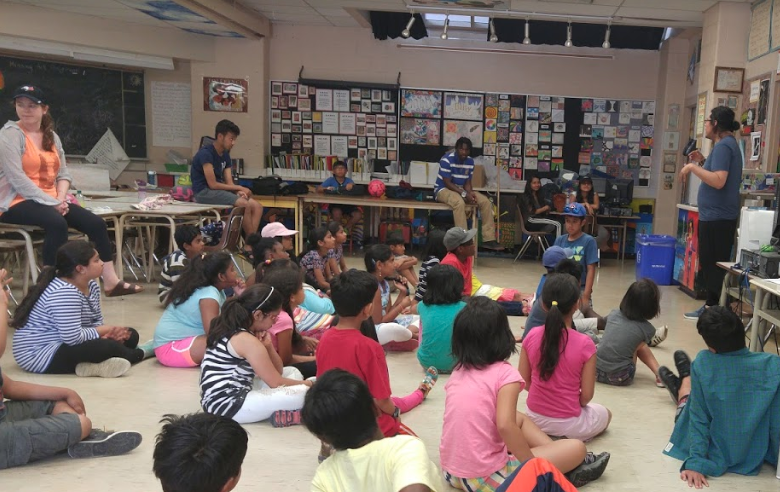 ​Conflict transformation is the cornerstone of Children’s Peace Theatre. 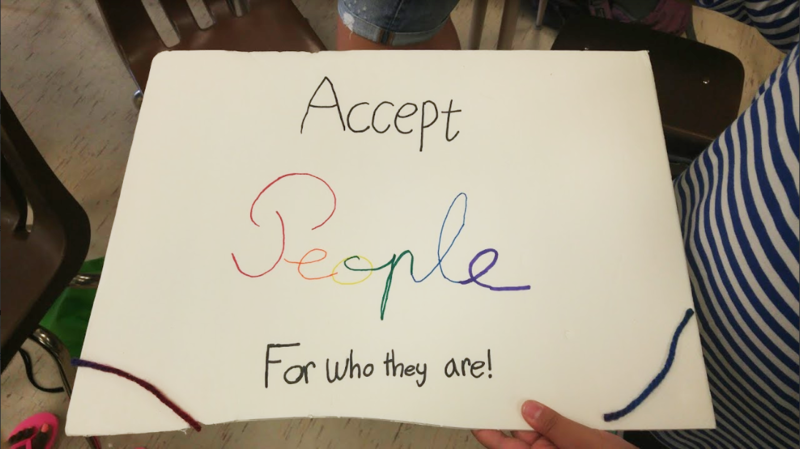 We believe that through guided artistic expression, children can discover the potential to transform their relationships to themselves and others. Conflict is inevitable, so we show the ways that conflict can be a site of transformational change for peace. This year, our conflict transformation workshops will guide children in their journey to discover their own conception of peace and conflict through our theme of water, specifically addressing systemic inequalities that result in issues such as environmental racism. We will heed Indigenous peoples' calls to centre the importance of water in our societies, bridging the water within each of us to the water that surrounds and nourishes us. Facilitated by some of Toronto's best artists, the workshops will explore what we can learn from and about bodies of water artfully, and the ways that our relationships to ourselves and each other influence and are influenced by water. Activities are designed so that participants experience conflict as a creative force and peace as an activity that we can choose to embrace. Interested in booking a workshop for your community group or program? Check out these photos from our past marches for a taste of what's to come!